We are very excited to be joining forces with Staten Island United and make this opportunity of development possible to all kids in Staten Island. 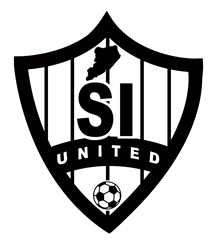 Staten Island United Soccer Club has joined forces with CTR Soccer, headed by U.S. Men’s National Team Assistant Coach and U.S. Soccer’s Youth Technical Director, Tab Ramos, to launch the first Staten Island United Summer Select Program. The program will consist of eight training sessions, two competitive tournaments, and will also feature a full-time CTR trainer assigned to each team. The program begins in June and will finish in July. Registration is now open and costs $375 per player which includes uniform. For more information or to register visit http://www.CTRSoccer.com or email CTRS2014(at)gmail(dot)com. CTR Soccer provides local travel and recreation programs with a large staff of professional, highly-trained and experienced trainers and coaches, instruction and training aligned with the curriculum of the US Soccer Federation, high quality facilities (indoor and outdoor), vertical and horizontal player and coach development opportunities, and year-round, customized individual, team and club training programs. CTR Soccer offers completely personalized programs for local township clubs, recreation programs, and high school programs and runs personal and small group training through seasonal camps and clinics. CTR Soccer’s focus and foundation is solely on player development at the grass roots level.